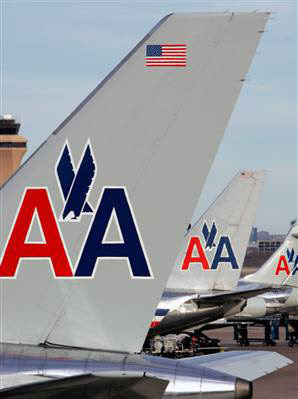 American Airlines plans to begin daily service from Los Angeles to Shanghai starting April 5. The carrier announced Thursday that it had received approval from the U.S. Department of Transportation. It willl fly 247-seat Boeing 777 aircraft on the new route. American spokesman Tim Smith said the flights will depart and arrive at Terminal 4 at Los Angeles International Airport (LAX) and that details were still being worked out with federal officials. The airline also received tentative approval for antitrust immunity that allows American and Japan Airlines to cooperate on flights between Asia and North America under the Open Skies agreement between the two countries. The airlines await a final OK for American to start daily flights from New York to Tokyo on Jan. 20, and Japan Airlines to start flights between San Francisco and Tokyo on Oct. 31.